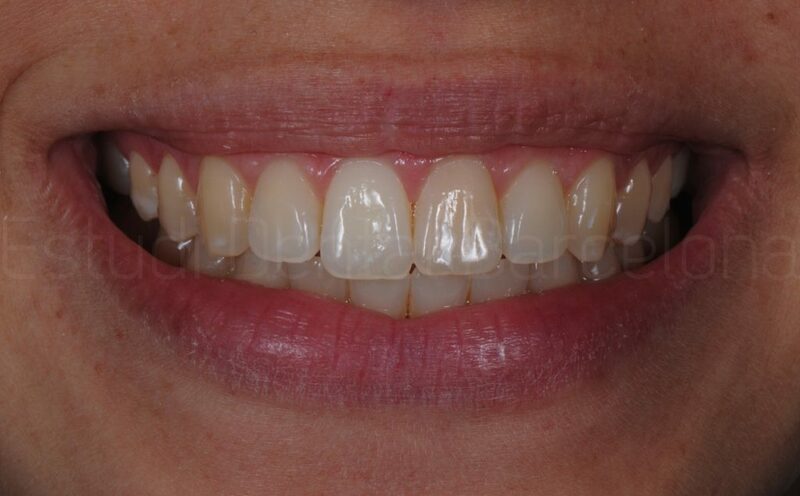 Porcelain veneers are thin layers of porcelain used in a minimally invasive treatment option that can improve the shape, look and colour of the teeth. 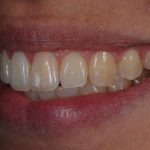 Why use porcelain veneers instead of other types of dental veneers? 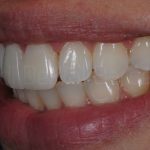 If you want a more even smile, a brighter smile or simply a different smile, porcelain veneers could be the best solution. Porcelain veneers are extremely hard-wearing when attached to the enamel. 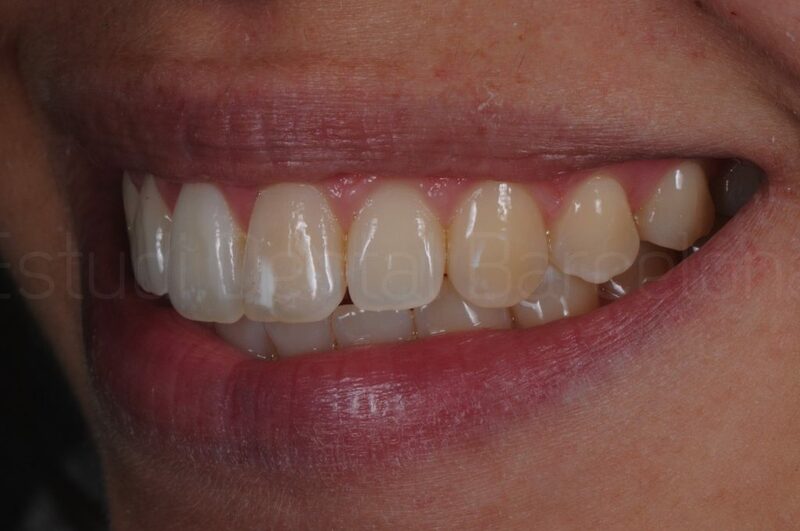 When you choose porcelain veneers to improve your smile, you can choose any colour and the colour change is permanent. Porcelain veneers recreate the natural look of the teeth. There are different types of porcelain veneers and different manufacturers. At Estudi Dental Barcelona, we work with different types of dental veneers, using dental veneers to improve the look of teeth and creating a better shape, colour or a whiter look. We can even correct teeth that are badly aligned. We can also make your teeth bigger or longer if you want and close gaps between teeth (diastema). When the patient has discoloured teeth. When the patient has had their teeth whitened but the treatment hasn’t managed to change the colour of the teeth or remove stains from the teeth. When the patient wants to alter the shape and the position of the teeth. When the patient wants to reconstruct part of the teeth, for example some habits such as teeth grinding (bruxism) can create wear on the teeth. Also, when the teeth have been damaged before and there are cracks or breaks in the teeth, dental veneers can recreate the size of the tooth. 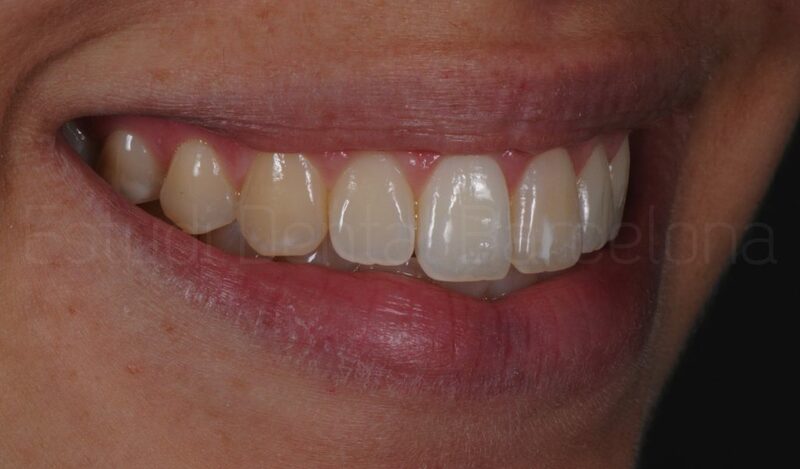 There is a range of esthetic dental veneers, such as porcelain veneers with a thickness of between 0.8 and 1.5 mm. The process of adding porcelain veneers includes preparing the tooth by drilling to gradually reduce the surface of the natural teeth. This drilling is necessary to compensate for the thickness of the dental veneers and be able to attach them and make sure the teeth are the ideal size. 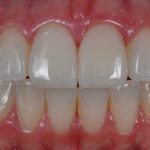 Ceramic veneers are an obvious choice, a conservative treatment that is attractive and becoming more popular because of the increasing demand for esthetic dentistry and the improvement in porcelain veneers. Our team of dentists specialises in esthetic dentistry and we have many satisfied customers. We offer each patient a personal consultation to make sure they are fully satisfied before and after treatment. Trust the professionals, do not leave your health and your smile to chance. Porcelain veneers are more resistant to wear and tear and provide ​​strength and durability similar to natural tooth enamel, as well as being highly resistant to stains. 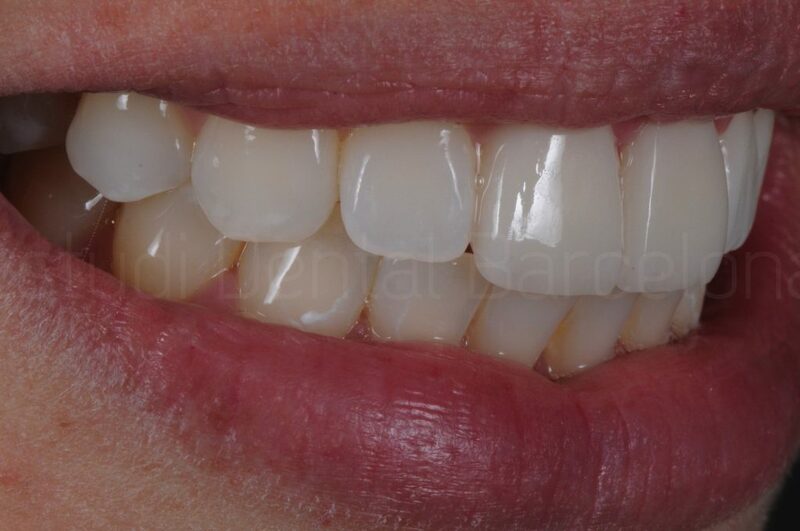 The finish on porcelain veneers is very natural, glossy and attractive. 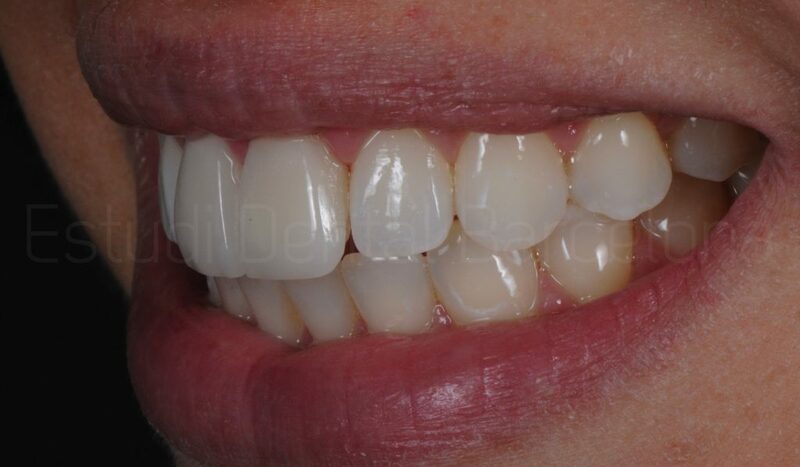 Dental veneers made from porcelain are the ideal esthetic treatment for those looking for a stunning, natural smile, a smile which also helps improve the patient’s self-esteem. Veneers with no drilling are a permanent, non-invasive esthetic solution that can be used for stained teeth, tetracycline stained teeth, cracked teeth, worn teeth and gaps between teeth. Veneers with no drilling give spectacular results as the teeth remain healthy and intact. The key to success is using a translucent and highly resistant material to reconstruct the tooth. These veneers with no drilling give excellent esthetic results. One of the main advantages of veneers with no drilling is lower post-operative sensibility because the veneer is attached to the enamel. It also reinforces weakened or cracked enamel. Dental veneers with no drilling also avoid the need to use provisional dental veneers and produce permanent teeth whitening. More importantly, dental veneers with no drilling mean the tooth structure does not need to be reduced or drilled and is the main reason why patients choose this system. Porcelain veneers do not hurt because they respect the structure of the tooth as much as possible, which is one of the reasons why patients do not feel any discomfort during and after the treatment. What do dental veneers with no drilling involve? 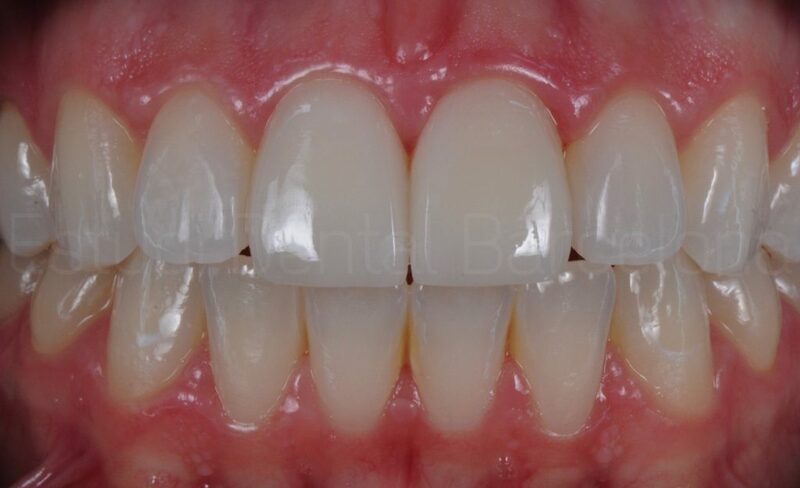 Dental veneers with no drilling or with no preparation are ideal for cases where the dental veneers are an addition (small teeth, gaps between teeth, after orthodontic treatment, etc). Dental veneers with no preparation can only be used on natural, intact teeth. These types of dental veneers do not need the tooth to be drilled. In technical terms they are no different to normal porcelain veneers. They have the same esthetic features and durability. 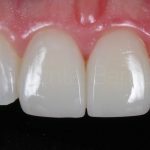 In many cases, traditional dental veneers can be used in combination with no preparation porcelain veneers, depending on the design of the smile. It is a non-invasive treatment and usually does not need anaesthesia as the teeth do not need to be reduced. The procedure is completely painless and there is no pain or sensibility afterwards. 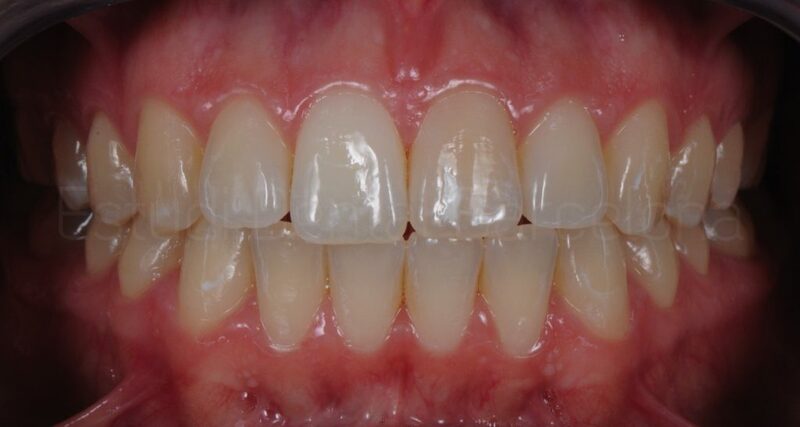 Porcelain veneers with no drilling have an immediate esthetic effect. There is no need for provisional reconstruction. 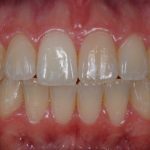 These types of dental veneers can only be used on healthy and intact teeth, as they do not involve drilling the tooth and there is no need for provisional dental veneers. Treatment involves three visits: design, moulds and cementing the dental veneers. The esthetic effect is immediate. One of the most frequently asked questions about porcelain veneers is how long they last. Porcelain veneers are one of the more longer lasting dental treatments currently available. To understand why, we need to first understand the structure of natural teeth. The enamel – the hardest tissue in the human body, it is also a rigid tissue, a bit like ceramic. The dentine – the innermost part of the tooth, which is less resistant but more elastic and acts as a shock absorber. The two structures work together. With these two structures the tooth can cut and chew and also has the elasticity to absorb shocks and the force of chewing. Here is a simple example to explain how it works. If we imagine a pane of glass on the ground, and we dropped 5 kg (10 lbs) from a height of 30 cm, the glass would break. However, if we glued the pane of glass to the ground using an adhesive, the same weight falling from the same height would not break the glass because the force would be absorbed by the ground too. The ground and the glass glued together become one. The same principle can be applied to the teeth. The dentine and the enamel work together in the same way. 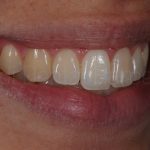 What are micro dental veneers and how can they help me? 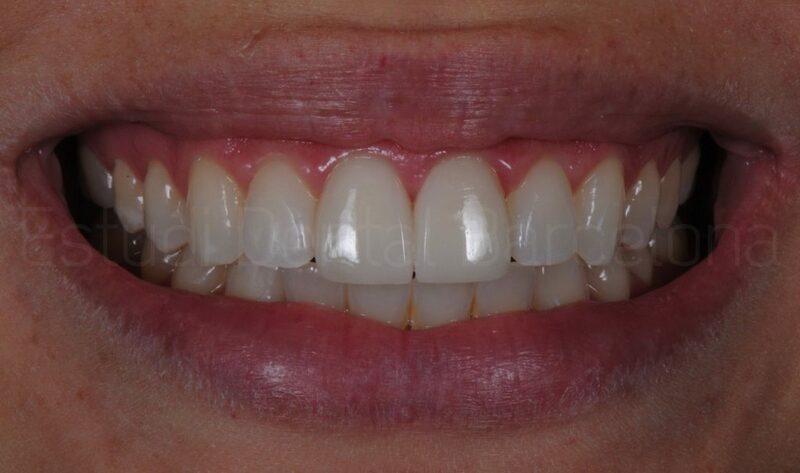 Porcelain micro veneers are ultra-thin strips of ceramic and are extremely tough. They are very precisely made and are very thin (0.2, 0.3, 0.4, 0.5 mm), like a contact lens. 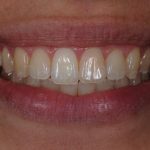 What makes them different from traditional dental veneers is that they are attached without having to modify the tooth or extract any teeth. This makes micro dental veneers a reversible and painless treatment, where the tooth remains intact and healthy. Micro dental veneers are fixed to the external surface of the teeth that are visible when we smile. On the first visit, the dentist studies the case, takes photographs and a mould of the mouth to create a digital smile design and a diagnostic wax-up, the patient and the dentist work together to choose the colour for the dental veneers. Dental veneers with no drilling are a permanent, non-invasive esthetic solution that can be used for stained teeth, tetracycline stained teeth, cracked teeth, worn teeth and gaps between teeth. Dental veneers without drilling give spectacular results as the teeth remain healthy and intact. The key to success is using a translucent and highly resistant material to reconstruct the tooth. These veneers with no drilling give excellent esthetic results. What are Lumineers and how can they help me? 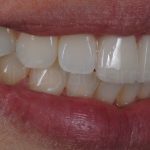 Lumineers are very fine porcelain veneers made from CERINATE, an extremely strong patented porcelain that attaches to the teeth to create a spectacular smile. The Lumineers technology is patented and has been in use for more than 30 years, meaning you can achieve the smile you have always wanted in less time and with far less discomfort than you had imagined. Lumineers veneers are digitally designed to be ultra-thin (almost as thin as a contact lens), so they can be perfectly applied to the teeth and create a natural-looking smile. That is why Lumineers are the most requested dental veneers across the world. Traditional dental veneers are generally thicker, meaning they need much more aggressive drilling, which is an irreversible procedure for the structure of the tooth. Preparing the tooth for traditional dental veneers involves a lot of work, with injections and anaesthesia to minimise sensibility and pain and usually requires provisional dental veneers between visits. 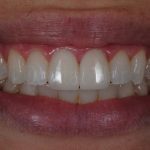 The minimally invasive Lumineers technique usually eliminates the need for injections or provisional dental veneers, meaning while you wait for your made-to-measure Lumineers you look and feel good. Although many dentists offer dental veneers, not all dentists are certified to offer Lumineers, make sure the dentist you visit is certified by Lumineers. At Estudi Dental Barcelona, we begin all our treatments with a digital smile design or DSD. This design then becomes a treatment plan that incorporates biology, structure and function to ensure durable teeth. We use photographs, digital smile design, x-rays and 3D images to create a mock up. For each patient, we can simulate the result using before and after photographs and videos. We use visual communication with our patients to show them what they can achieve and how they will look in a way that everyone can understand, visualising the result before the treatment begins.